You want your office holiday party to be memorable. Themes and fun activities will make it one for the ages. 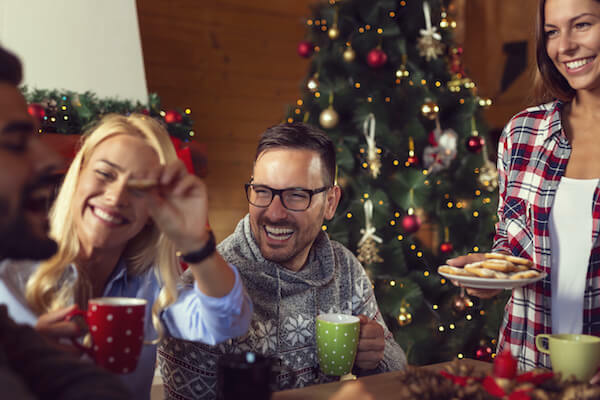 From the classic Christmas party to off-the-beaten-path holiday concepts, here are 23 holiday party ideas—including alternatives to the traditional office party to keep your employees on their toes. Who says costumes are just for Halloween? 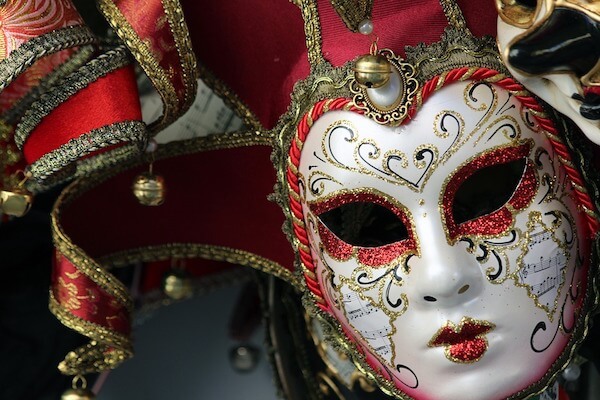 Planning a masquerade ball takes your Christmas party game to a whole new level. Pick a theme like Winter Wonderland and tell your employees to don their best masks and ball gowns or tuxes, if they’re so inclined. Use authentic period music that correlates to your theme, decorate with masks from a craft store and other theme-appropriate items such as soft Christmas lights, and don’t forget to provide a dance floor. People love to dress up, and giving your holiday party the theme of a decade lets them go all out. It could be the Roaring 20s—flapper dresses and gangster hats—or the 80s—legwarmers and teased hair. Decorate and offer food and drinks that are in line with the theme, and make your music consistent as well. For example, for the 60s, you might have Buffalo wings and Manhattans with plenty of Beatles, Rolling Stones, Temptations, Supremes—well, the music part is easy! In keeping with the theme, try serving casino-inspired food and drinks, such as Domino brownies (with white chocolate chips to resemble Domino dots) and cocktails like Poker Face or Lady Luck. Emulating a ski lodge with mountain, log cabin, and winter wonderland decor will make this theme a hit with your employees. Tell them to don their sweaters—or, if they’re really bold, ski apparel—and give them a fun wind-down soiree after a long day at the slopes...err, office. Offer treats like ‘smores, hot chocolate, and chocolate fondue, as well as staples like poutine, mac and cheese, and winter cocktails. If it’s safe, get a mini fire going. This is a Christmas staple, so why not bring it to the office? Have employees wear their favorite or decorate a new ugly sweater and have a contest. Decorate your party with sweater- and winter-inspired decorations, such as sweater trees and fake snow, and offer treats like sweater-shaped cookies. For more ideas, check out our guide on How to Throw the Ultimate Ugly Sweater Party. If you have a house big enough to accommodate your team, why not have everyone over? Not only will this give you an alternative (and cheaper) venue for hosting your bash, but it will also make you come across as more accessible and welcoming to your employees. Don’t skimp on food, drinks, and decorations! One of the most tried and true company Christmas party ideas is a cookie-decorating bar. Include plenty of choices of shapes, flavors, icings, sprinkles, and other decorations, being sensitive to different cultures—along with classic Christmas trees and gingerbread people, for example, add some Stars of David. Have your employees whip up a batch of their favorite holiday cookies to bring to the party. Participants can sample each other’s cookies and bring home an assortment to enjoy with their families or give out as gifts. Remember to provide plenty of boxes to hold the cookies. No party is complete without a photo booth to let people record their memories. Include plenty of themed props, such as Santa hats, or if your party has a theme, choose corresponding props. For example, for the masquerade, you’ll want to have extra masks and other period-appropriate props. Celebrate your employees’ many backgrounds and cultures by holding a multicultural potluck at the party, encouraging people to bring a family recipe or dish unique to their heritage. You may want to set up a spreadsheet to record who’s bringing what so you have an even split of appetizers, main courses, side dishes, and desserts. Ask your employees to create recipes cards to share with their colleagues. 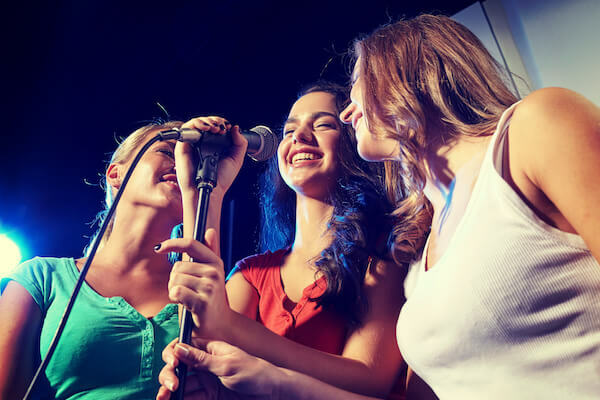 Bring in a karaoke machine and speakers and offer a selection of holiday tunes everyone will love. This is an easy to way to keep your party lively and festive. First, you should only hold a bonfire if it’s absolutely safe to do so. If there’s an accessible area where the fire won’t get out of hand, this can be a great addition to a party or festivity in its own right. HowStuffWorks has instructions for building the fire. Have music, games, marshmallows and other treats, and make sure you have a bucket of water to put out the fire when it’s done. Food truck companies like Roaming Hunger are available for hire for your events. Provide the details of your event, the cuisine you want, and your budget, and you’ll be able to offer customizable options to satisfy all your employees. Plus, who doesn’t love food trucks! DIY cocktails are sure to be a hit. Set up a mini bar with different types of spirits, mixers, and garnishes. Have barware, including different types of glasses (martini, highball, lowball, and pint) and muddlers, shakers, strainers, jiggers, and stirrers. Have everyone vote on their favorite, and give a token prize to the winner, such as mini-bar equipment or a set of glasses. Don’t forget to include recipe cards and pens so employees can write down their hits. Secret Santa is another office holiday party staple. Have your employees draw names (Elfster is a great way to to do this online to avoid people drawing their own names—plus, it allows you to create wishlists to help with shopping), set a price range, and schedule a time during the holiday party for the exchange. Need some gift ideas? Check out our guide to The 36 Best Secret Santa Gifts for Coworkers at Every Price Point. 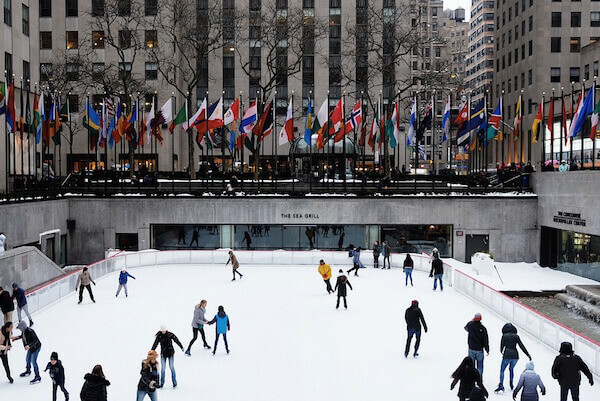 Take your employees ice skating as a holiday treat. Make sure to call ahead to reserve space, and look into group packages. Some smaller rinks allow you to reserve the entire space for your party. After your outing, have treats in the office. Giving back to your community will make everyone feel good. Host a drive and deliver gifts to kids at your local hospital, visit a food bank, team up with Habitat for Humanity if you live in an area that has nice weather at this time of year, or ask for suggestions from your employees about volunteering projects. After a long day of volunteering, hold a happy hour at your office or local bar as a thank you for all your employees’ hard work. Make it a festive party with treats, drinks, and a lively discussion. If it’s in your budget, see if you can get every employee a copy of the book; it will be much more fun if everyone can participate. 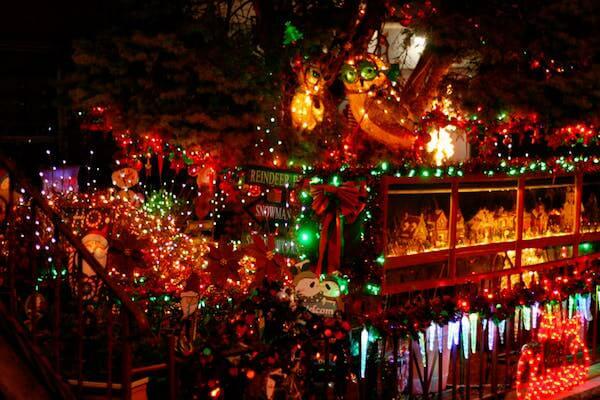 Some cities and neighborhoods, such as Brooklyn’s Dyker Heights, are known for their spectacular Christmas lights displays. Take your employees on a tour of the best lights in your area. To make it especially memorable, you could even rent a limo to transport everyone. Escape rooms are all about innovation and teamwork. Plus, they’re great for groups. Book your next adventure and see how everyone collaborates to solve the riddles and clues. Whether or not you complete the puzzle, be sure to take your employees out afterward! If you live in a fair-weather-year-round area or have access to an indoor theme park, this can be the perfect bonding activity for your team. Nothing brings people together like screaming on a roller coaster. It’s a fact that brunch is everyone’s favorite meal. Bring it to the office to celebrate a long year of hard work. Have mimosas, a bloody mary bar, and other brunch favorites like pancakes, french toast, and an omelet station. To make it holiday appropriate, incorporate other activities such as a white elephant swap, set to holiday-themed music. Get into the holiday spirit by watching one of the classics, from It’s a Wonderful Life to Elf. Hold a vote on which movie to watch, get lots of couches and pillows, offer popcorn, hot chocolate, and hot cider, and you’ll have the perfect movie night.